With rough thick enough to hide your golf shoes, the mercury steadily dipping as the day wore on and 40 kph winds holding the flags at strict attention, Milton’s Glencairn Golf Club made for a stern test as the first full season of the Road to Glencairn culminated on a blustery, grey October 11. Designed for the public player, members of ClubLink’s Players Club, the 12-event Road to Glencairn drew 65 players in its first full season, providing participants with unique access to some of ClubLink’s finest courses at exceptional tournament rates, ranging from $65-$85. The cost of entry for the championship at Glencairn, meanwhile, was waived for all 44 qualifiers—roughly half of whom finished among the top two in a previous event, while the remaining spots went to those who teed it up in the most tournaments. “The deal was fantastic,” noted Greg, who competed in eight Players Club tourneys this season. “I’m out in the West End and loved having the opportunity to play a great course like Heron Point. I used to be a member at a private course, but got tired of playing the same place. This (Players Club) program gives you the opportunity to play different courses, and ones you normally wouldn’t be able to get on. And I like the idea of travelling to different competitions and playing tournaments—having to keep your score and hole your putts. I enjoy grinding it out. “And you meet other people. I got to play with two other teachers the other day. I’ll be spreading the word about this program,” said Greg, whose 83 was one shot off the winning low gross score. That tidy 82 belonged to Toronto’s Mike Olsen, who picked up a Muskoka Stay & Play package for his efforts. Olsen only learned of the Road to Glencairn partway into the season while taking advantage of one of the Member for a Day privileges from his Players Club Premium Advantage package. “There are such great incentives to join,” said Olsen, who also earned Longest Drive honours at Glencairn. “I’m a competitive guy by nature, and thought this would be a lot of fun. I’ve already recommended it to a few people. 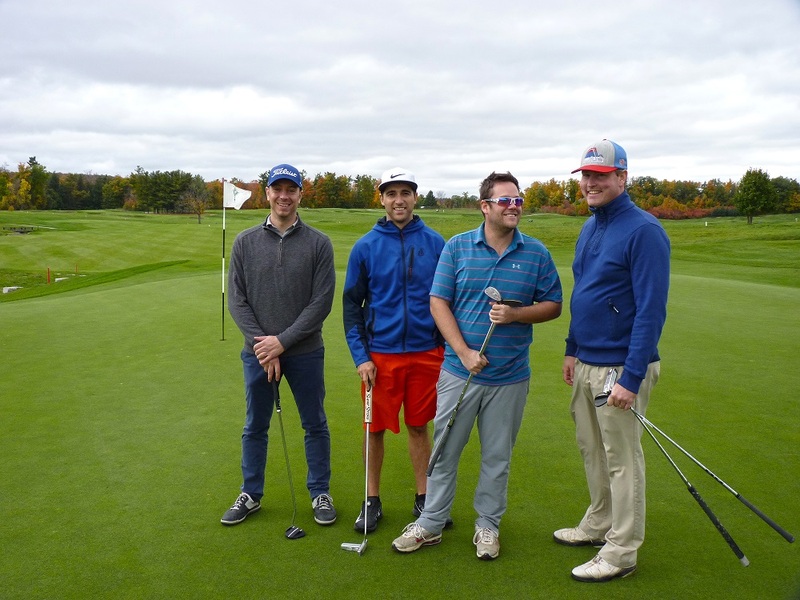 Steve Argyris of Toronto and Simcoe’s Adam Beck claimed the Partner Better Ball division with a 73, earning them a complimentary foursome at a ClubLink Platinum or Gold-level course. To date, only gross score—no handicaps—have been employed for competitions, with organizers including other competitive formats, such as partner better ball and stableford, to help cater to varying talents. “The theme was a fun league for all skills levels to get a taste of competition and meet other players,” noted Johnstone, who expects to launch an updated 2019 Players Club program in the coming weeks. To learn more about Players Club, click here.